your printing company of choice. In 1989, Executive Press started as a small, but feisty, printing company. Our focus was to make our clients look good on paper. Over the years, traditional paper printing has evolved. So has Executive Press. We are no longer small, but we're just as feisty. It's not just about paper any more either. Wood, plastic, acrylic, vinyl, metal, shirts, hats and jackets to name a few. We print stuff. We print a lot of stuff, and we are very good at it. We print just about anything to help promote and grow your brand, image, and business. If you can think it, Executive Press can ink it. “Everyone here loves Executive Press for quick turns and flawless work! "Great company and folks to work with. Top notch products. Used them many times." “Hope’s Door New Beginning Center is pleased to speak on behalf of the service. Executive Press provides. We have been very pleased with the creative and printing. work they have done for our agency. They are very accommodating on pricing an scheduling. They are an asset to any nonprofit." The Xerox Versant 2100 digital is a hard working multi-tasker offering exceptional quality, productivity and versatility. It is equipped to handle a variety of media options from coated and textured stocks to covers, synthetics and envelopes. With our booklet maker option, multipage documents come off this press folded and stapled. It's awesome. Stop by sometime and watch the magic happen. Perfect for business cards, letterheads, postcards, variable data, manuals, magazines programs, and so much more. From fine art reproductions to outdoor signage, our Mimaki wide format press is incredibly fast and delivers an amazing array of print and cut applications. Executive Press uses this press's quality color fidelity, white ink technology, throughput and contour cutting capabilities to go beyond the expected. We are trying not to brag, but this machine is unsurpassed in the world of digital roll printing and we’ve got one! 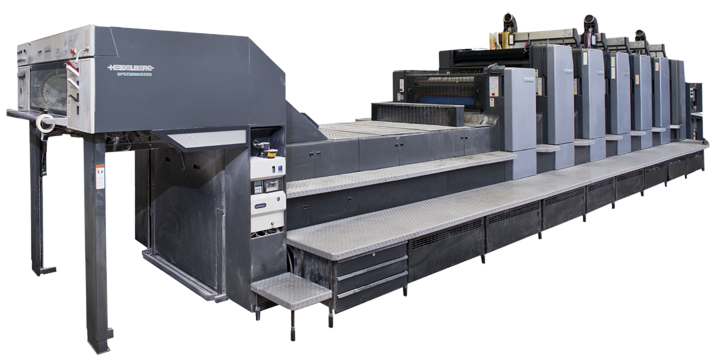 This 4' x 8' flatbed UV press combines revolutionary technology, industry leading quality and outstanding speeds to satisfy the most demanding projects. This press has the ability to print on any media such as wood, metal, glass, acrylic and many more up to 4" thick. Make your message stand out with our flexible banner solutions. Our durable, photo-quality banners are cost-efficient and reusable. Whether you need to drive foot traffic, deploy point-of-purchase marketing solutions or communicate an important indoor or outdoor message, our banner solutions get results. With so many ad specialties available there is a huge opportunity for professionals like you to boost your brand and leave a lasting impression with your customers. Our mission is to help you create long-lasting relationships with your clients through the power of promotional products. Labels are a great tool for branding and advertising and Executive Press can customize and design any label your business needs. Create custom garments with Executive Press. Whether it be screen printing, or custom embroidery and monogramming, we guarantee to add personality to your apparel. Infuse corporate clothing with a sense of company pride and help spread your brand into the world.